This sites is a SEONitro, LLC product. 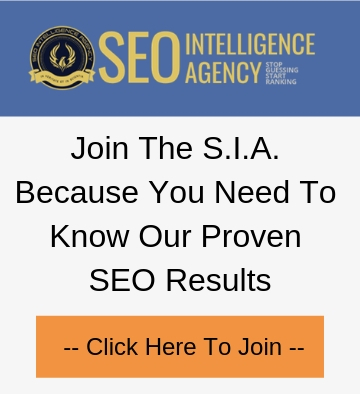 This site is owned and operated by SEO NITRO, LLC. No material from SEO NITRO, LLC or any Web site owned, operated, licensed or controlled by SEO NITRO, LLC may be copied, reproduced, republished, uploaded, transmitted, or distributed in any way without authorization from SEO NITRO, LLC. Modification of the materials or use of the materials for any other purpose is a violation of SEO NITRO, LLC’s copyright and other proprietary rights. In the event you download software from the site, the software, including any files, images incorporated in, and data accompanying the software (collectively, the “Software”) are licensed to you by SEO NITRO, LLC during sessions you are logged in. SEO NITRO, LLC does hereby transfer use of the Software during sessions you are logged in. SEO NITRO, LLC retains full and complete title to the Software, and all intellectual property rights therein. You may not redistribute, sell, decompile, reverse engineer, or disassemble the Software. This site is controlled and operated by SEO NITRO, LLC from its offices within the State of Nevada, United States of America. SEO NITRO, LLC makes no representation that materials in the site are appropriate or available for use in other locations. Those who choose to access this site from other locations do so on their own initiative and are responsible for compliance with local laws, if and to the extent applicable. Software from this site is further subject to United States export controls. No software from this site may be downloaded or otherwise exported or re-exported into (or to a national or resident of) Cuba, Iraq, Libya, North Korea, Iran, Syria or any other country to which the U.S. has embargoed goods. By downloading or using the Software, you represent and warrant that you are not located in, under the control of, or a national or resident of any such country. This agreement shall be governed by and construed in accordance with the laws of the State of Nevada. If any provision of this agreement shall be unlawful, void, or for any reason unenforceable, then that provision shall be deemed severable from this agreement and shall not affect the validity and enforceability of any remaining provisions. This is the entire agreement between the parties relating to the subject matter herein and shall not be modified except in writing, signed by SEO NITRO, LLC. SEO NITRO, LLC brands, product names, and codes are trademarks of SEO NITRO, LLC. This agreement is effective until terminated by either party. You may terminate this agreement at any time by destroying all materials obtained from any and all SEO NITRO, LLC site(s) and all related documentation and all copies and installations thereof, whether made under the terms of this agreement or otherwise. This agreement will terminate immediately without notice from SEO NITRO, LLC if in SEO NITRO, LLC’s sole discretion you fail to comply with any term or provision of this agreement. Upon termination, you must destroy all materials obtained from this site and any and all other SEO NITRO, LLC site(s) and all copies thereof, whether made under the terms of this agreement or otherwise. USE OF THIS SITE IS AT YOUR SOLE RISK. ALL MATERIALS, INFORMATION, PRODUCTS, SOFTWARE, PROGRAMS, AND SERVICES ARE PROVIDED “AS IS,” WITH NO WARRANTIES OR GUARANTEES WHATSOEVER. SEO NITRO, LLC EXPRESSLY DISCLAIMS TO THE FULLEST EXTENT PERMITTED BY LAW ALL EXPRESS, IMPLIED, STATUTORY, AND OTHER WARRANTIES, GUARANTEES, OR REPRESENTATIONS, INCLUDING, WITHOUT LIMITATION, THE WARRANTIES OF MERCHANTABILITY, FITNESS FOR A PARTICULAR PURPOSE, AND NON-INFRINGEMENT OF PROPRIETARY AND INTELLECTUAL PROPERTY RIGHTS. WITHOUT LIMITATION, SEO NITRO, LLC MAKES NO WARRANTY OR GUARANTEE THAT THIS WEB SITE WILL BE UNINTERRUPTED, TIMELY, SECURE, OR ERROR-FREE. IN NO EVENT WILL SEO NITRO, LLC BE LIABLE TO ANY PARTY FOR ANY DIRECT, INDIRECT, INCIDENTAL, SPECIAL, EXEMPLARY OR CONSEQUENTIAL DAMAGES OF ANY TYPE WHATSOEVER RELATED TO OR ARISING FROM THIS WEB SITE OR ANY USE OF THIS WEB SITE, OR OF ANY SITE OR RESOURCE LINKED TO, REFERENCED, OR ACCESSED THROUGH THIS WEB SITE, OR FOR THE USE OR DOWNLOADING OF, OR ACCESS TO, ANY MATERIALS, INFORMATION, PRODUCTS, OR SERVICES, INCLUDING, WITHOUT LIMITATION, ANY LOST PROFITS, BUSINESS INTERRUPTION, LOST SAVINGS OR LOSS OF PROGRAMS OR OTHER DATA, EVEN IF SEO NITRO, LLC ARE EXPRESSLY ADVISED OF THE POSSIBILITY OF SUCH DAMAGES. THIS EXCLUSION AND WAIVER OF LIABILITY APPLIES TO ALL CAUSES OF ACTION, WHETHER BASED ON CONTRACT, WARRANTY, TORT, OR ANY OTHER LEGAL THEORIES. This site and all content in this site may not be copied, reproduced, republished, uploaded, posted, transmitted, distributed, or used for the creation of derivative works without SEO NITRO, LLC’s prior written consent, except that SEO NITRO, LLC grants you non-exclusive, non-transferable, limited permission to access and display the Web pages within this site, solely on your computer and for your personal, non-commercial use of this Web site. This permission is conditioned on your not modifying the content displayed on this site, your keeping intact all copyright, trademark, and other proprietary notices, and your acceptance of any terms, conditions, and notices accompanying the content or otherwise set forth in this site. Notwithstanding the foregoing, any software and other materials that are made available for downloading, access, or other use from this site with their own license terms, conditions, and notices will be governed by such terms, conditions, and notices. Your failure to comply with the terms, conditions, and notices on this site will result in automatic termination of any rights granted to you, without prior notice, and you must immediately destroy all copies of downloaded materials in your possession or control. Except for the limited permission in the preceding paragraph, SEO NITRO, LLC does not grant you any express or implied rights or licenses under any patents, trademarks, copyrights, or other proprietary or intellectual property rights. You may not mirror any of the content from this site on another Web site or in any other media. Information on this Web site is not promised or guaranteed to be correct, current, or complete, and this site may contain technical inaccuracies or typographical errors. SEO NITRO, LLC assumes no responsibility (and expressly disclaims responsibility) for updating this site to keep information current or to ensure the accuracy or completeness of any posted information. Accordingly, you should confirm the accuracy and completeness of all posted information before making any decision related to any services, products, or other matters described in this site. SEO NITRO, LLC provides no assurances that any reported problems will be resolved by SEO NITRO, LLC, even if SEO NITRO, LLC elects to provide information with the goal of addressing a problem. SEO NITRO, LLC does not want to receive confidential or proprietary information from you through our Web site. Please note that any information or material sent to SEO NITRO, LLC will be deemed NOT to be confidential. By sending SEO NITRO, LLC any information or material, you grant SEO NITRO, LLC an unrestricted, irrevocable license to copy, reproduce, publish, upload, post, transmit, distribute, publicly display, perform, modify, create derivative works from, and otherwise freely use, those materials or information. You also agree that SEO NITRO, LLC is free to use any ideas, concepts, know-how, or techniques that you send us for any purpose. However, we will not release your name or otherwise publicize the fact that you submitted materials or other information to us unless: (a) we obtain your permission to use your name; or (b) we first notify you that the materials or other information you submit to a particular part of this site will be published or otherwise used with your name on it; or (c) we are required to do so by law. Personally-identifiable information that you submit to SEO NITRO, LLC for the purpose of receiving products or services will be handled in accordance with our privacy policies. This Web site may provide links or references to non-SEO NITRO, LLC Web sites and resources. SEO NITRO, LLC makes no representations, warranties, or other commitments whatsoever about any non-SEO NITRO, LLC Web sites or third-party resources that may be referenced, accessible from, or linked to any SEO NITRO, LLC, site. A link to a non-SEO NITRO, LLC Web site does not mean that SEO NITRO, LLC endorses the content or use of such Web site or its owner. In addition, SEO NITRO, LLC is not a party to or responsible for any transactions you may enter into with third parties, even if you learn of such parties (or use a link to such parties) from a SEO NITRO, LLC site. Accordingly, you acknowledge and agree that SEO NITRO, LLC is not responsible for the availability of such external sites or resources, and is not responsible or liable for any content, services, products, or other materials on or available from those sites or resources.